We will inspect the interior and exterior of your home or business property including, but not limited to, your roofing, siding, gutters, downspouts, windows, drywall, interior space and flooring utilizing the criteria established by your insurance carrier and industry standards set forth by engineering professionals. We will take the proper measurements in order to ensure that the “scope of work” includes all damages sustained to your home and will not be limited to piece or patch work which can negatively affect the appearance and resale value of your property. We guarantee the proper allocation of funds from your insurance carrier in order to restore your property according to the loss provisions of your insurance policy limiting your “economic loss” to the amount only of your deductible. We contract and manage the roofing, siding, guttering, i.e. the exterior and interior areas of your property, working with the most competent contractors and craftsmen in your community. Some of our crews have over 25 years of experience in this field. Hail causes $1 billion in damage to crops and property each year. The costliest hailstorm in the United States was in Denver in July 1990 with damage of $625 million. According to the Institute for Business & Safety, one of the most vulnerable spots for your home is the roof. One hazard most homeowners can expect to face at some point is hail. 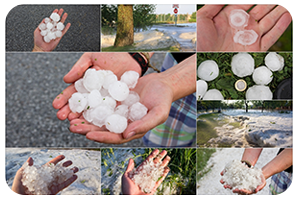 Compared to earthquakes and hurricanes, hail might seem like a minor concern. True, hailstorms do not cause the loss of life, but they can shatter windows, leave pockmarks in siding and, most important, destroy or damage roof coverings. Hail damage can occur in almost any thunderstorm. Our relationship with you begins well before construction and extends long past the completion of your home. With the state-certified, company-trained workers at Alpine Exteriors, Inc. on your project, you can rest assured your construction needs will be attended to with excellence and expedience. We have a warehouse facility located in Central Florida. The State of Florida has already seen material shortages in many areas. We believe that by obtaining and stocking our own facilities we will be able to overcome shortages and delays. Combined, we have over fifty roofing crews, fifteen to twenty drywall crews, ten tile crews, fifteen kitchen counter and cabinet crews, over ten framing crews, as well as on call carpenters, finishing crews and tradesmen. Alpine has also been utilized as the general contractor for large projects. We have developed long term relationships with roofing, window, and other sub-contractors that we utilized as needed. Our reputation for quality will assure you years of pleasure and low maintenance in your establishments. Every year destructive and costly storms impact metropolitan areas across the United States. Which hurricanes and tornados tend to get all the press because of the impressive footage of storms in action and of the aftermath of destruction to structures, which soon follows. However, it is the hailstorms; which end up doing the most costly damage every year. 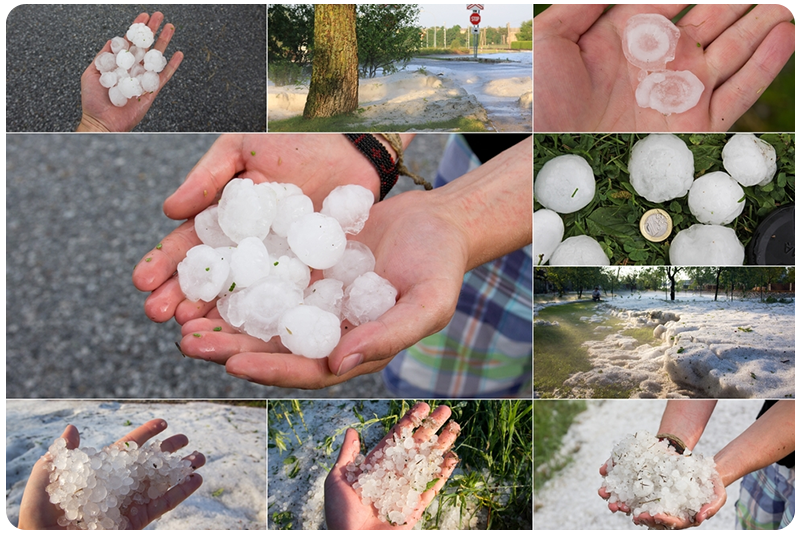 Within a 30-minute period of a hailstorm can cause as much as One Billion Dollars worth of damage. In most cases this damage does not contain the urgency that follows other types of flood or wind-related storms. This is because the impact of a hailstone creates granular loss on roofs. Which does not affect its function immediately and damage to the siding, gutters, and painting is mainly aesthetic damage. Therefore, immediate repairs are usually not necessary and hail damage work demand is spread out for up to 2 to 3 years after the storm. This allows our insurance restoration representatives to work on one storm for up to 2 or even 3 years after its arrival. The insurance restoration process for homeowners can be very time consuming and frustrating. Alpine’s representatives will work hard to make this process as smooth as possible.